The Russian opposition is back at its main protesting spot in Moscow’s Bolotnaya (Swamp) Square, where an anti-Putin rally on May 6 last year resulted in violent clashes with police, arrests and trials. Police say around 8,000 protesters attended Monday’s sanctioned event called ‘For Freedom!’ Organizers expected up to 30,000 to turn up for the meeting. The rally lasted for about 2 hours and wrapped up with no major incidents reported. However, five people were detained for wearing masks – which is banned by the law on mass protests. In addition a 15-year-old boy was detained for firing a flare, police said as cited by Interfax. Reportedly all the detainees will be released after a cautionary warning and promise to abide by the law. Opposition leaders, including anti-corruption blogger Aleksey Navalny, co-chairman of Parnas party Boris Nemtsov and leader of democratic party Yabloko Sergey Mitrokhin, addressed the crowd from a stage assembled on top of a truck. They demanded to stop “repressions,” to release “political prisoners,” and to ban the same person from being elected president more than twice. Russia’s current constitution states that the same person cannot be elected head of state “for more than two terms running.” The protesters also want fresh parliamentary and presidential votes as well as more public control over the government’s activities, the rally’s resolution reads. “We will come here as many times as needed,” Navalny stated, adding that he and other opposition leaders are set to continue protests. In what some saw as a bad omen, the May 6 event was marred by tragedy: a worker, identified as 25-year-old Maksim Melkov, died while erecting the stage for the opposition gathering after a loudspeaker column fell on him. Initially it was reported that the worker was a volunteer and a supporter of one of opposition leaders. 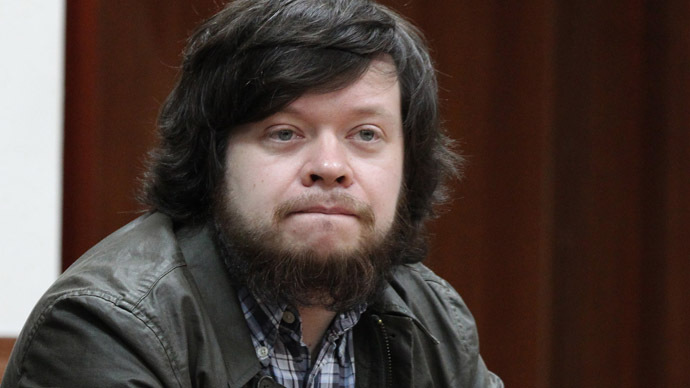 However, his brother Dmitry told MK daily that Maksim was totally “apolitical” and planned to get money for assembling the equipment on the stage at Bolotnaya. Police have detained the head of the firm that was installing the stage. According to a preliminary investigation, no contracts had been signed between the organizers of the rally and the company that performed the works for the event, a source in police told Izvestia newspaper. Shortly after the accident, it was reported that the event might be canceled. 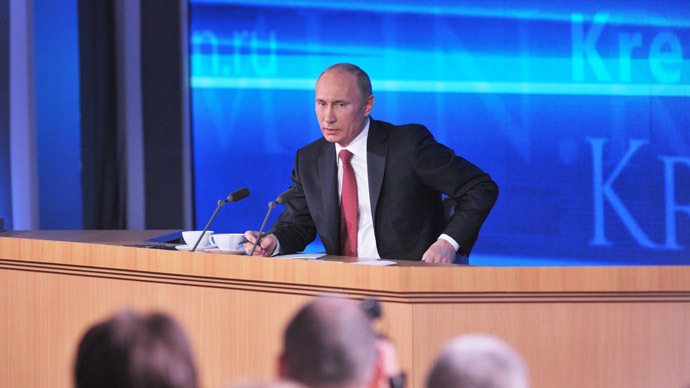 However, the organizers decided to hold the meeting as it had been agreed with the Moscow authorities. The format of the rally might be changed though, as the scene of the accident is to be thoroughly examined by investigators and the stage may remain blocked. 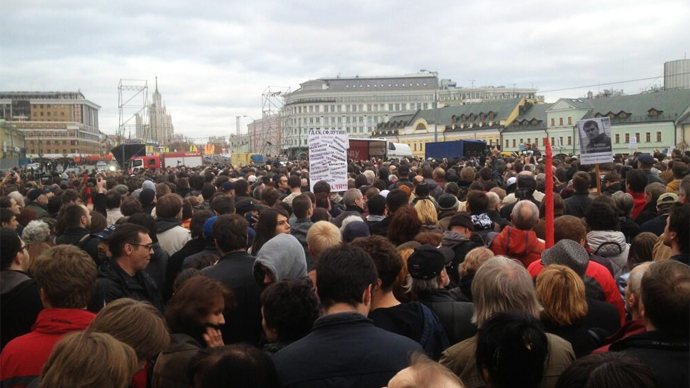 The rally on Bolotnaya Square started with a minute of silence to commemorate Melkov. 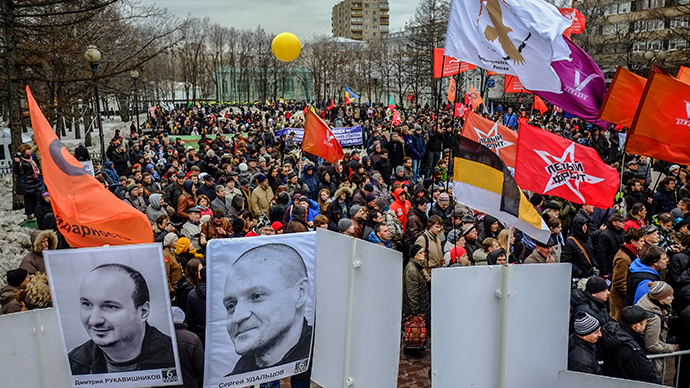 The main demand of the participants of the event organized by Russian opposition activists is the release of all ‘political prisoners’ in the country. Those also include activists arrested as part of the so-called ‘Bolotnaya case’ following last year’s rally on the square. A day before Vladimir Putin’s inauguration as president, thousands took to streets to protest against election results, and to demand political reforms and a fresh vote. The sanctioned rally turned violent as demonstrators clashed with police. Over 600 protesters were detained and over a dozen faced criminal charges ranging from inciting mass unrest to using violence against police. 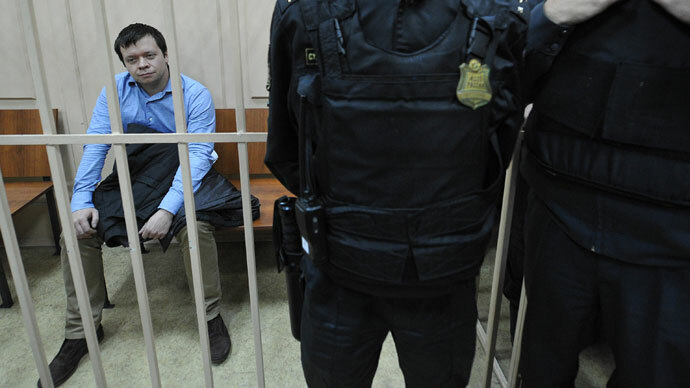 So far, two of the Bolotnaya Square protesters were sentenced to jail terms. The opposition maintains though that clashes were provoked by police. On Sunday – as Orthodox believers celebrated Easter – the opposition held another sanctioned protest rally in the Russian capital. 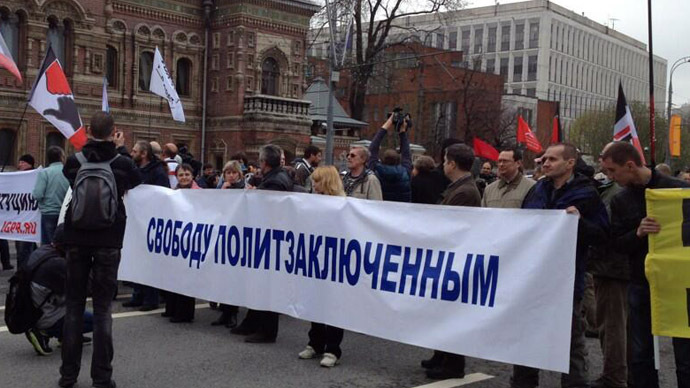 The event called ‘Freedom March’ was organized by the so-called Opposition Expert Council. Despite the initially-announced 10,000 participants, the gathering was joined by only around 400-500 participants and around a hundred journalists.